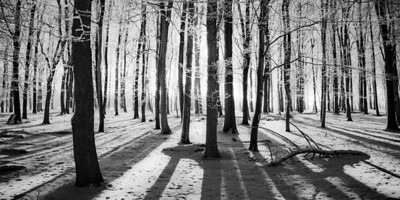 Ratio 2 x 1 Suggested Prints:- 30" x 15" Alumini Print - 40" x 20" Edge Print Taken in woods near Ringshall, the low summer sun backlights the frost laden trees, casting long shadows that draw your eyes into the light. 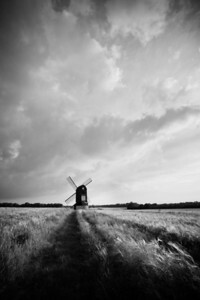 Ratio:- 6 x 4 Suggested Print/s:- 30" x 20" Block Wrap 24" x 16" Alumini Print I've always found windmills, modern or traditional, deeply intriguing, being both beautiful and yet somehow menacing. I tried to capture that feeling here. 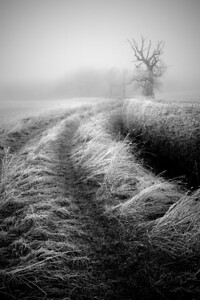 Ratio:- 4 x 6 Suggested Print/s:- 30" x 20" Edge Print On the road between Ivinghoe Beacon and Ringshall I stopped to capture the majesty of these frosted winter trees, as luck would have it, two deer chose that moment to make a bolt for it across the road. Please note, due to the proximity of the deer to the edge of the photograph this image would not be suitable as a canvas or block wrap. 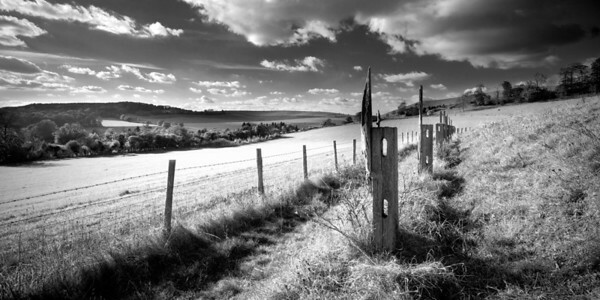 Ration:- 2 x 1 Suggested Print:- I was drawn to the line of old fenceposts, decaying slowly yet standing resolute, like faithful sentinels looking across the valley. 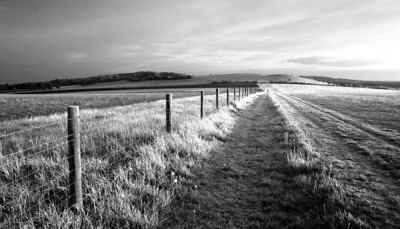 Ratio 5 x 2 Suggested Print:- 34" x 13" Alumini Print (Slight Cropping Required) Taken from Totternhoe looking towards Dunstable I felt compelled to capture this extraordinarily dramatic sky, rising menacingly above the field of wheat. Ratio:- 4 x 6 Suggested Print/s:- 36" x 24" Fine Art Wrap On this perishingly cold day I stopped just outside of Milton Bryan and headed into the fields. 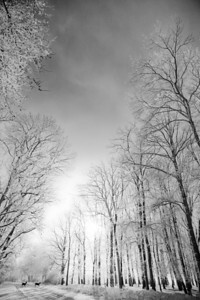 I hoped to capture the stark feeling of cold, isolation and mystery. 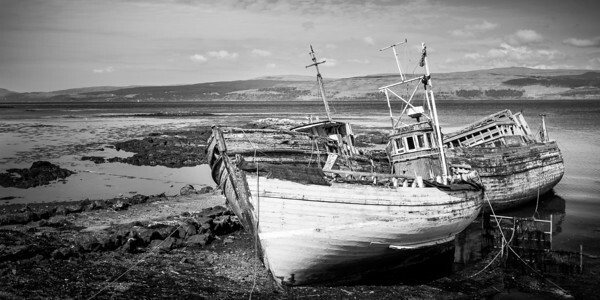 Ratio 2 x 1 Recommended Print:- 36" x 18" Alumini Print The seemingly abandoned boats are ageing gracefully and provide a perfect subject for capture. 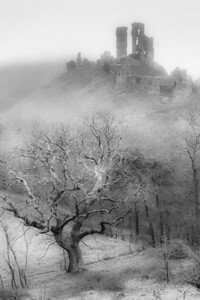 Ratio:- 4 x 6 Recommended Print/s:- 18" x 12" Alumini Print 30" x 20" Block Wrap Approach Corfe Castle from any direction and you cannot help but feel intimidated by its towering presence. The wonderfully twisted and gnarly tree in the foreground seemed equally resolute and aged. 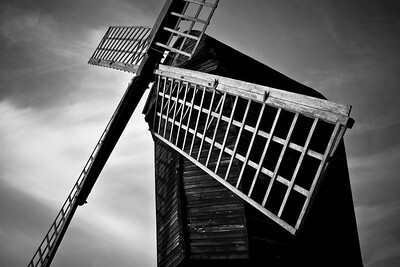 I've always found windmills, modern or traditional, deeply intriguing, being both beautiful and yet somehow menacing. I tried to capture that feeling here.